Wow! What a haul!! I have a few of these books in my TBR mountains as well! And most of the beginning set were all new to me! 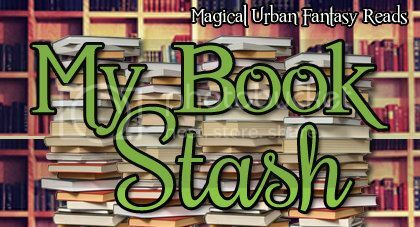 Your TBR pile has to be insane! Well thats A LOT of great books! Great post and good mailbox. Hope you enjoy your books. I'm totally jealous of your CoLS book especially the signed ones that are coming to you. You also got a quite a bit to keep you busy. lol. Such an awesome haul!! Hope you enjoy all the great books. I couldnt get the video to play, but it seems you got some good stuff. Hope you enjoy! Devon Monk's series is pretty long, so far it is an 8bk long series, I own a few and I plan on getting to this series for sure one day. I had no idea Viguie came out with another book, she writing pairs with Nancy Holder for the Witch series, Crusade and Unleashed series. I never got around to reading my eARC of Goddess Interrupted, I loved bk 1 and I really need to read this one. Haven't picked up CoLS yet, I saw it at Costco but I didn't pick it up. A signed copy is even better though! Have you started reading either of Plum's or Angelini's series? I think next week I'm going to try participating in Stacking the Shelves, I was being lazy this week and didn't feel like making a post and still been contemplating leaving IMM. I love the cover on The Goddess Interupted. I still haven't read Obsidian but I really need to because I'm on one of the street teams for the Daemon Invasion. I hope you enjoy everything and here's my IMM + weekly wrap up!